Our Latest Introduction to Front Down-force. Inspired by Outlaw Sprint Cars but with off road style. We have spent 5 months in prototypes and real race durability testing different materials. 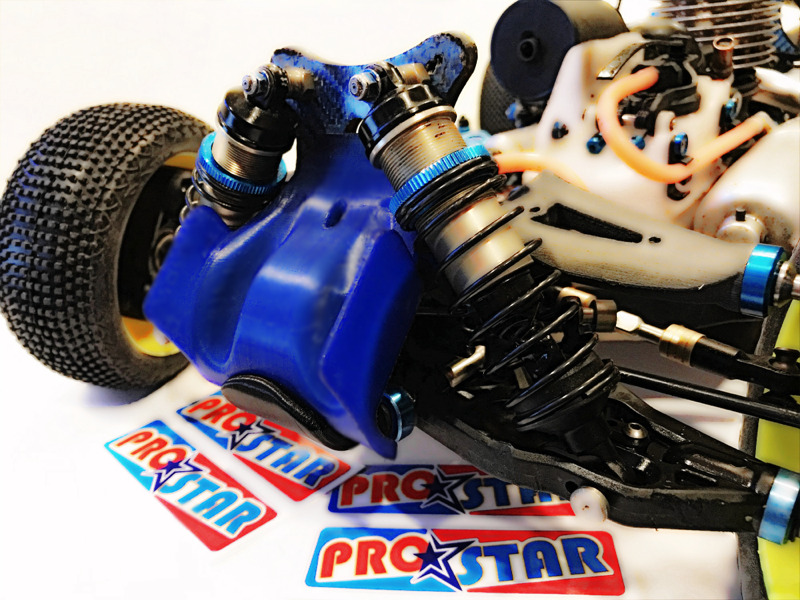 Replaces your front nose piece and makes the airflow aerodynamically channeled smoothly over your front shock tower of your car producing more front end bite especially on larger high speed European and American type tracks. Also included is the optional skid plate that further protects your chassis and the "Outlaw" wing from damage. the Wing is designed as a bumper alone.